Price INCLUDES Free Fitting and Balancing. 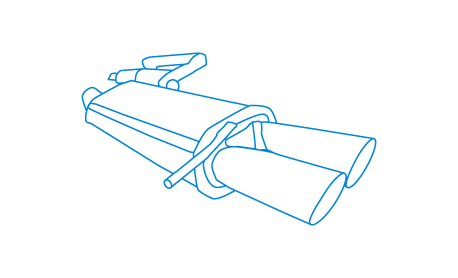 16 inch (Set of 4). They Have the odd scratch here and there...Nothing Major. 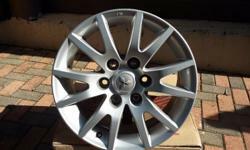 Contact Rimz & Trimz.....071 288 8828. 93 Harrison Street. Braamfontein. At The Caltex Garage. NO SMS...NO EMAIL...NO SCAMSTERS...NO TIMEWASTERS..NO OFFERS. 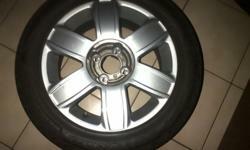 CALL 071 288 8828 ONLY IF SERIOUSLY INTERESTED..
Bridgestone tyres and mag rims for sale. 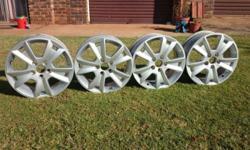 5 x Bridgestone tyres 31x10.5x15 tyres for 4x4, and 3 x mag rims 15 inch 8J, 6 hole for sale. 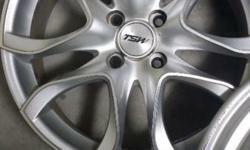 4 Ford Focus/mondeo 16" mag rims in excellent condition. 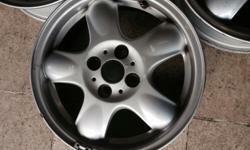 16 inch 6spoke mag wheels , pcd 4x108. 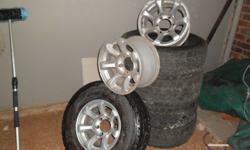 Complete set together with bridgestone 205/55/R16 tyres. All in good condition.